Rear Size? Super small Small Medium Large Not sure, please e-mail me. Racing sway bars for the E46 M3. Urethane bushings, with concealed grease fitting in billet aluminum clamps that are machined to fit the aerodynamic undertray perfectly. 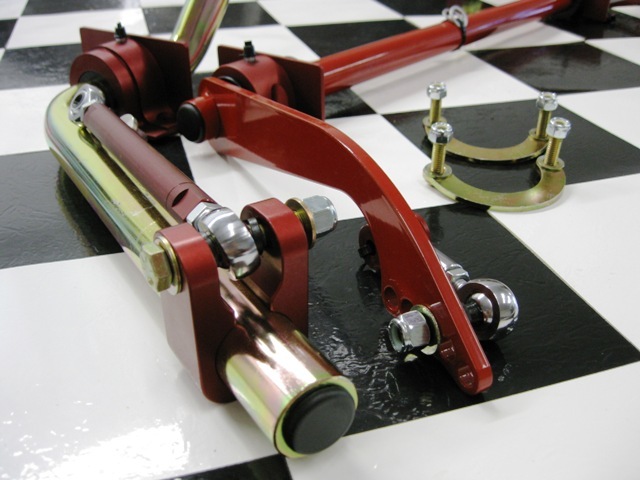 Sliding aluminum clamps on the front bar allow infinite and quick adjustments. Please note that ALL sway bars only fit stock sway bar tab height and that the shipping weight is much more than the actual weight of the bars (UPS oversize).